Valet Parking available across the street from our restaurant on Tremont Street at the Clarendon Street intersection starting at 5 PM daily. Inspired by the travels of Chef Barbra Lynch's travels throughout Europe, The Butcher Shop celebrates all that the old world boucheries of Europe had to offer. A combination of a full-service butcher shop and a wine bar, The Butcher Shop offers menus that both represent and celebrate Italian and French cuisine. While lunch and dinner specials change on a daily basis, some of the most well-known and loved dishes include terrines, steaks, antipasti and a selection of pasta. make your own steak and eggs! great neighborhood spot. Good wine choices and plenty of variety in standard menu. Excellente cuisine et ambiance! On y retournera! Nous étions déjà des fans de BandG Oysters, le choix sera difficile! 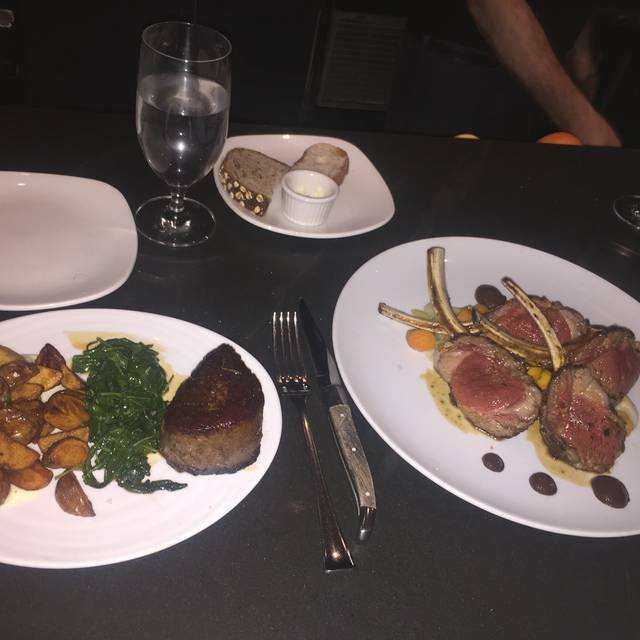 The charcuterie was perfect and we had great cheese/meat and wine recommendations from the staff who also provided some of the best service we have had our dining in Boston! Tiny cozy spot for an impromptu dinner. We ate light but the menu encompassed light eating and full entrees if interested in a pork or steak meal. We will definitely be back! The Butcher Shop is a neighborhood gem but a bit on the pricey side with small portions. Wonderful Steak Tartar and great selection of red wines. I wish they were still open for lunch. Great food. More expensive than the two "TEMP_OC_CONTENT_HEREquot; in their profile would indicate. Not cheap but 100% worth it. They had a great wine special, the cheese plate w/ pate was delicious, and the venison entree incredible. A great place for a special occasion or just a random Wednesday! Always wonderful with an incredibly competent welcoming staff that feels like family. The Butcher Shop is great and customer service is excellent. The food, wine, and cocktails are very good too. I thought the prices were a bit high for the portion size but for the South End, that's pretty typical. Was here for date night and would definitely recommend it for dates, friend-gatherings, etc. Always a great meal with excellent service. It can get loud and seats near the door can be cold in winter. We came for Dine Out Boston and not only was the food delicious, but it was a full serving size (a lot of places like to skimp on portions during restaurant week.) We’ll be back soon for sure! The service was tired and unexcited. They couldn’t care less that we were their guests. They were pretty disappointed that we asked for the Dine Out Boston menu. We ended up not ordering from it...but still...I got an email from the Barbara Lynch Collective inviting us to their restaurant during this week and the staff did not even suggest the special menu. I have to say that in spite of the mediocre food and the non inviting service I had good time just because of the company. I will definitely not go back. I would recommend with caveats: Nice ambiance; not very attentive service; excellent food; small portions, quite pricey; good location for Calderwood theater-goers. Overall, a wonderful experience. We are glad we came back for the third time. Dine out Boston dinner was far better than expected. 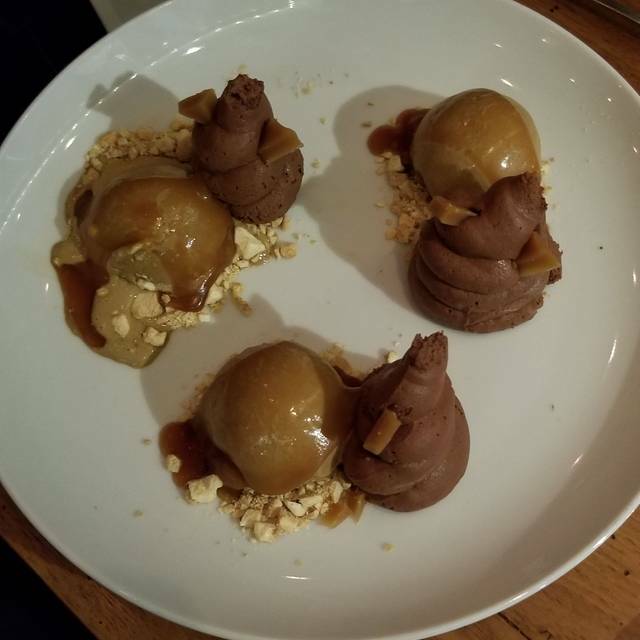 The portions were just right for me. The seating was at bar height and bit cramped. The long hair of the woman next to us kept on touching our table (but not the food, thank god). Ladies, please keep your hair flipping habits at home! If you are coming from outside Boston—the challenge with this and the places in the “Restaurant Row” area of South End is parking. Better to walk or Uber. We were celebrating- this was the perfect place for it! Amazing service, food, and wine. The food was good but the wait staff all seemed miserable. No smiles, no chit chat, very unfriendly. 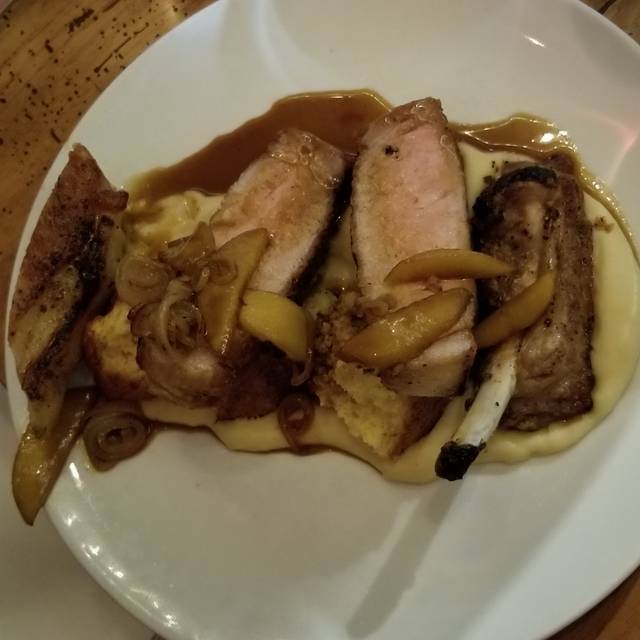 They were out of my first choice beer and first choice app, and table wasn’t ready until 15 mins after our reservation, but pork chop was amazing and the ambiance was lively, contemporary, cozy. Went here for my birthday. It was a wonderful experience. They put care and effort in every dish here. Don't expect your steak to come out in 10min because they actually let their meat rest! We also had the steak tartare and a cheese / terrine / pate board. Server was polite and gave us as much time as we needed to order. We came because of a recommendation from friends. The whole experience was mediocre and overpriced. Did not live up to the expectations we were given. 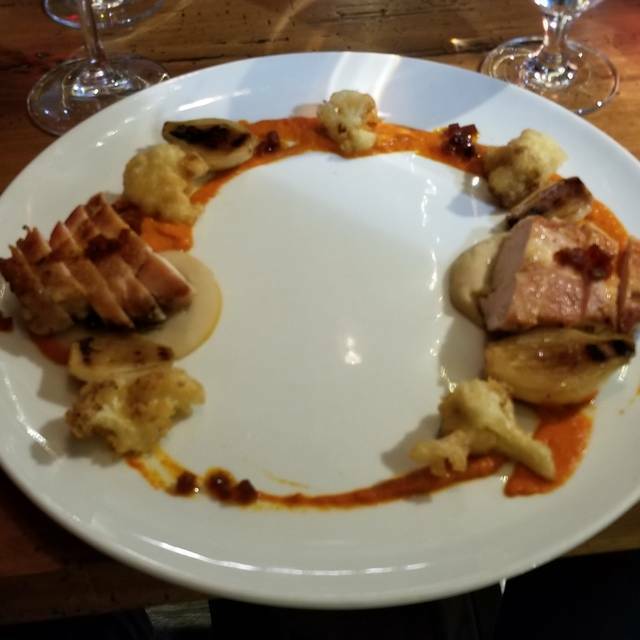 Great food and fantastic wine - knowledgeable and attentive servers who were happy for us to graze through the menu at our own pace. Cheese selection is spot on! We got the rib eye for two and it was amazing! food and service were excellent! Our waitress was attentive and helpful. creative selection of items. lots to choose from. well prepared and attractively served. the food was delicious and I would certainly return. really nice local find. Always an amazing time! The service is fantastic and the food is unbelievable! Love it ! A lot of folks love The Butcher Shop for a nice dinner, where it balances a meat-centric menu with some terrific pasta dishes, but it is also a nice place for a Sunday brunch. This visit we came early, the restaurant was quiet, the bartender was helpful and knowledgeable, and the food was great. You can get anything from the regular menu or their brunch specials like homemade hash (delish!) or the house hamburger (excellent!). We usually sit at the bar, chat with the staff and other patrons, and enjoy the feel of a top notch restaurant that feels like a local place. Delicious food, great ambiance, helpful service. Very satisfied with the evening. The four of us had four different entrees - pork chop, steak, chicken, and duck - and we were all more than satisfied. I had also a very tasty cucumber salad and a moist coconut cake that was just sweet enough. One of us tried a couple of the wine specials, and found them to be good values. Our servers were very thorough but we weren't at all rushed. (It was a Sunday night.) The only drawback was the excessive volume of the sound system, which made conversation a little difficult in a space that was smaller than I expected. We love the Butcher Shop! A little small inside so tables are tight and they fill up quickly - make reservations. The food is outstanding. They also have “made to order” gluten free bread which is for me but my husband would argue that it’s better then the regular bread. 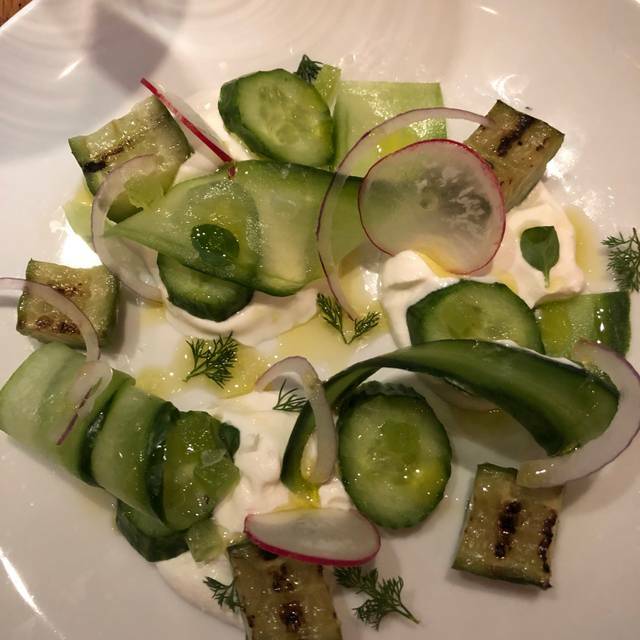 Cucumber salad is delicious along with their steaks. Highly recommend. A great spot in the south end with consistently great food and wine. The steak and venison were awesome. I personally enjoyed a pasta dish with luck meatballs. We had a lovely experience here. Our server Dana was absolutely terrific and shared why they carry so many vermouths. The food was well prepared and very tasty. This is a very small place, mainly with tall stools and small tables. However, the service is especially friendly, and the food is innovative and delicious! Cannot recommend the food or service; not a quiet or romantic evening, but great food.